Delayed projects have hit the NCR residential market. Due to the delay of projects the home sales have dipped in the NCR. 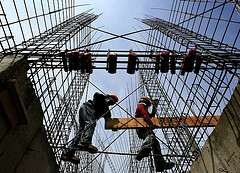 NCR residential market is affected by construction delay. DELHI-NCR: The prospective buyers are nailed by delay in projects. As per a recent report by Knight Frank states that new launches in the Delhi-NCR has fallen by 31%. It has adversely affected the NCR residential market. As per the report, NCR residential market has nearly 1,40,000 unsold inventories. Out of this, over 27% is under construction. As per the Knight Frank India report the 33,500 units were launched in the second half of 2012-13. This shows a fall of 31%. Global property consultant firm warns that the launches will see slowdown in the coming months too, affecting the largest residential market.